The goal of this training is to make you competent and comfortable in using the Canvas system’s core features to teach your classes. This is a three week, self-paced, training session with 9 Modules. The modules are grouped into 3 Units. If you schedule yourself to do one Unit per week, you will find this a fairly relaxed pace. You may move along at your own pace. If you feel really comfortable and can commit a lot of time, you could even finish the course in a couple of days. The lead trainer will be available for the entire three weeks to offer guidance and assistance. This is a hands-on training class. You will be given a practice course to use in the training to apply the features and functionality that you will learn. You don’t get to keep the practice course, so please do not design your actual course in it. The practice course is provided to you for the training only – a place to complete your homework assignments as you learn the tools so that you can be evaluated for certification. Please contact your distance learning office to get a permanent course in their campus Canvas instance. In order to pass this class you will be asked to complete a variety of tasks in your own class site using the Canvas tools. Each task is worth points. Between these tasks, discussions, quizzes, and a final survey, you can earn up to 500 points. Successful participants will receive a certificate of completion. The recommended professional development credit for the training is 30 hours (listed in the certificate). Many institutions recognize the program for professional development / FLEX credit and for meeting the training requirement for teaching online with Canvas. Please check with your distance learning office for your college’s local requirements. Earn 400 points which is a 80%. You don’t have to be perfect! Turn in every assignment. We want you to experience all the tools and allow us to give you feedback on what you can do with Canvas. Jim Marteney is a Certified Trainer and has been teaching online for over 10 years. He is an advanced user and trainer with deep experience in leading training and pedagogy courses for online teaching and learning. After teaching at Los Angeles Valley College for over thirty-five years, Jim is now Professor Emeritus of Communication Studies. 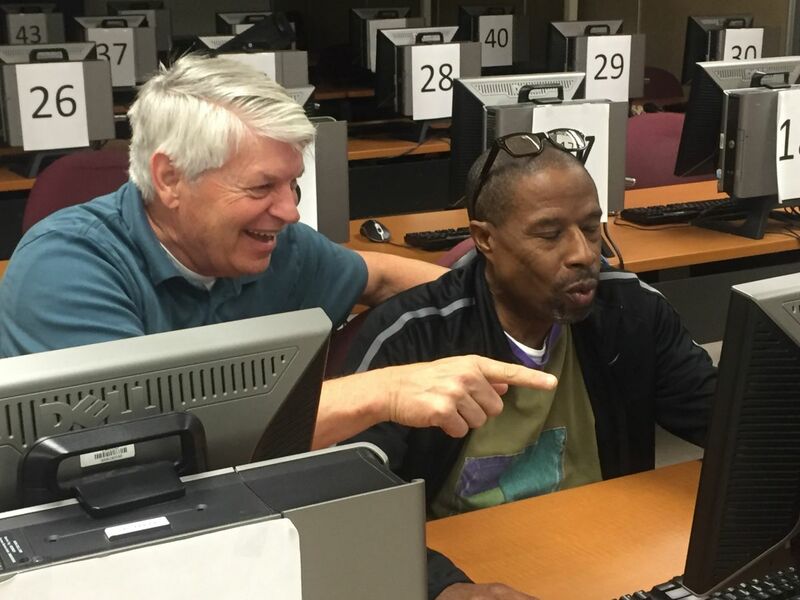 For his last 6 years, Jim was the college’s Distance Learning Trainer where he had the opportunity to help design instructor’s classes and improve their online teaching skills. Jim understands the challenge of learning a new online teaching system and looks forward to working with you as you develop you online courses using the Canvas learning management system. Sample videos from the Introduction to Canvas course, by Etudes, Inc. Taught by Jim Marteney. The cost for the training is $150.00, as shown in the “Register” link, payable via credit card. If you change your mind and want to drop the class and receive a refund, your request must be received by mail or online by Tuesday, 5:00PM (Pacific Time), a week PRIOR to the start of the course. Complete Refund Request Form. Note: This is not a reimbursement form. Please check with your college if they offer reimbursements for satisfactory completion of the training. If you have any questions about this training class, contact us. If you are not a member of our Users Group, subscribe to this list to stay informed about new training opportunities.